The Carteret Office of Community Development manages the day-to day operations of programs that promote economic and community development, including the Urban Enterprise Program (UEZ), Community Development Block Grant, Neighborhood Preservation Program, and Regional Contribution Agreements. 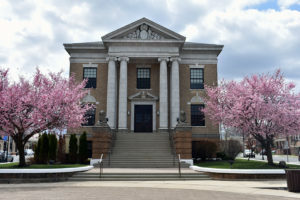 In addition the office works closely with the redevelopment plans and initiative along with the Carteret Redevelopment Agency and Carteret Business Partnership. Several Boards oversee the goals, objectives, and activities of these economic development initiatives. Working closely with the Carteret governing body, Middlesex County and the State of New Jersey, the Office of Community Development strives to maximize resources, expand program activities and promote Carteret as a destination for living, working and investment.